Anyone who has been involved with weight loss or bodybuilding has probably come across or heard about a drug named clen. Even if you’ve never taken it yourself, there’s a high chance you’ve heard about it online or through someone you know. So, how exactly would you define clenbuterol and what it does? Let’s find out. Clenbuterol hydrochloride is also commonly referred to as clenbuterol or clen for short. It is an amine-based sympathomimetic drug. It belongs to the beta 2 agonist category of drugs that are used frequently for respiratory issues. It is more commonly used for its anabolic properties, which makes it a popular choice among anabolic steroid users. While the drug is often classified as a steroid, it does not belong to the steroid group. However, it does produce steroid-like behavior and interaction. It is known to exhibit similar effects on body mass as seen in steroids. The drug is typically found in three basic forms: powder, pill, and liquid clenbuterol. The fact that it isn’t FDA-approved for human use means you cannot buy it over the counter. You will need a prescription in order to get the drug as it is only allowed for use in veterinary practices. Clenbuterol is known for its use as a sympathomimetic stimulant. It induces a powerful stimulation in the body’s sympathomimetic system which elicits various bodily responses. For people with respiratory issues, this means stimulating the beta-2 receptors which cause the smooth muscles to relax. This allows the airways to clear any obstructions and dramatically improves breathing. Sometimes, this stimulation can cause additional effects like increased BMR (basal metabolic rate). This is cause by the thermogenic properties of clenbuterol. In short, it allows the drug to slightly increase the body temperature. The increased temperature stimulates the metabolism of the body in the same way a workout session would. This facilitates the increased weight loss of the body as the metabolism causes calories to burn quicker. Additionally, it can also increase the blood flow to the muscles, which helps greatly when working out. The thermogenic properties of the drug are why clen is so popular among fitness enthusiasts and bodybuilders. These properties allow them to attain a better workout session as well as get rid of the last bit of body fat. This also makes it a widely used drug among people who want to lose fat quickly and attain a leaner body type. You can also see it being used in veterinary practices. This is where the drug is legally used to treat respiratory problems and allergic reactions of various animals like horses. It has also seen extensive use in cattle, where it is sometimes used to relax the uterus. This can help prevent calving issues like bovine dystocia in birthing animals such as cows. They aren’t used in any food producing animals due to strict regulations in Europe and the US. By now, you’re probably aware of the benefits that taking clen can give you. However, if you’ve ever taken drugs before, you know that isn’t the only thing drugs are capable of. Drugs can also have side effects that can be anywhere from mild to severe, depending on the person. This is why it’s important for you to know the adverse effects of clen. There are many different kinds of side effects you can experience from continued use of clen. The drug produces various side effects that can be harmless and mild or very severe. The levels of severity differ based on the condition and prior medical history of the user. Since clen acts as a stimulating agent, you can expect some side effects related to hyperstimulation such as increased heart rate, increased blood pressure, jitters, and general restlessness and anxiety. These effects are most common during the first few periods of use and will usually subside. However, in some cases, they do persist more than the normal time period. Prolonged use can also exhibit some less common symptoms such as headaches, dizziness, and nausea. For a lot of bodybuilders, muscle cramps are a common occurrence because of the drug’s tendency to deplete taurine from the muscles. A lack of sleep is also associated with long-term users as an uncommon side effect. Abusing the drug or taking doses over the recommended limit can result in some disastrous side effects. This can typically include agitating symptoms like restlessness and anxiety. The drug’s ability to increase blood pressure and heart rate can cause permanent and life-threatening issues. Serious complications like panic attacks and heart palpitations can cause the body to go in a critical condition and may even result in death. One of the widely used reasons for clen is for its weight loss ability. The drug is not only responsible for reducing fat, but it also helps increase muscle mass in the body. This is why it is so popular among athletes, weight lifters, bodybuilders, fitness models, and celebrities. Moreover, the effects of the drug can last up to six days, which makes it a very desirable weight loss drug. The ability of the drug to reduce fat is also known as thermogenesis. It may sound like a complicated process, but it’s actually quite simple. The drug acts on certain receptors in the body, which induces a change and raises the body’s temperature. This increases the basal metabolism and causes triglyceride fat content to burn quicker. As a result, your body fat is reduced significantly. This process of fat burning is very similar to a workout routine. Many bodybuilders use this method along with their regular workout routine to get the best use. The drug’s thermogenic ability combined with the cardiovascular stimulation of workout causes the body to burn fat as efficiently and quickly as possible. In addition to reducing fat, clen has been directly linked to increasing muscle mass. It does this by increasing respiratory efficiency and pumping more blood into the muscles. This helps the muscle tissue get enough required oxygen, which helps it maintain its form and grow. It’s because of these reasons that clen is often the go-to drug for weight loss. The dosage values for clen can vary based on the use, the person and their medical standing. Since the drug isn’t approved by the FDA for human use, in most cases, there simply are no official dosage requirements. Instead, dosage is based on values obtained from clinical trials and from personal experience of the drug’s users. Recommended dosages for clen can vary depending on what it is being used for. For respiratory problems, the recommended dosage is around 0.02 to 0.03 milligrams or 20 to 30 micrograms. However, for weight loss-related uses, the dosage can be around 0.6 to 0.12 milligrams or 60 to 120 micrograms. The drug is typically used with a lower dosage initially and increased over time as the effects begin to dwindle. However, exceeding the 0.12 mg dosage limit is not recommended. Using the drug above the recommended dosage can result in fatal and life-threatening side effects. These include headaches, nausea, muscle cramps, increased blood pressure, and several heart disorders. Sometimes, clen users will prefer taking the drug in a specific cycle known as a clenbuterol cycle. These cycles can vary depending on the intended use. A typical cycle can be anywhere from 2 days on/2 days off to 2 weeks on/2 weeks off. Counting cycles and using them effectively results in a much safer administration of the drug. The long-lasting effects can be to the user’s advantage without the risk of overdosing. The effects of clenbuterol can be noticed after continued use of the drug. You will be able to notice a drastic difference before and after taking the drug. However, the effects might vary from person to person and their overall health and condition. The observable effects of clen will most likely kick in after the first few days. You will start to notice that it takes less time for you to warm up for your workout. You will begin to reach optimal workout conditions much faster, and your calories will start to burn off very quickly. You might also feel the preliminary symptoms of clen, which include an elevated heart rate, headaches, and slight dizziness. These symptoms may disrupt your sleeping pattern for a short while. After several weeks of continued use, you will begin to notice that your body fat is being significantly reduced. This is also the point where you can feel an increase in your body’s muscle mass. It will become much easier for you to build up your abdominal muscles. This effect of increasing muscle mass coupled with lowered body fat will result in your body looking more toned. At this point, you might feel like the effects have dwindled a bit, which will indicate that you should increase your dosage. You might also start to experience moderate side effects like restlessness, dry mouth, and muscle cramps. However, all of these issues can be solved by staying hydrated with water or an electrolytic solution. It’s important to remember that simply taking the drug is not enough. While clen will drastically reduce your body fat on its own, it isn’t the ideal way to use it. You will have to keep a healthy diet and work out regularly in addition to taking the drug. This will grant you the best overall results and generally keep most of the harmful side effects at bay. By now, you have heard about everything that clen can benefit you with. You might be thinking, where can I even buy Clenbuterol? Well, you can’t. Not in the traditional sense, at least. The FDA has ruled that clen is unsafe for human use. It doesn’t necessarily mean that the drug is legal but just that you need to have the right paperwork in order to acquire it. This means you must have an official prescription which is not easy to get. Unless you have respiratory problems, it becomes next to impossible to buy it. This ends up turning into a difficult situation. However, thankfully, all hope is not lost. There are clen alternatives available that you can use. These alternatives allow you to experience the same effects as clen without having to deal with the legalities of buying it or its side effects. 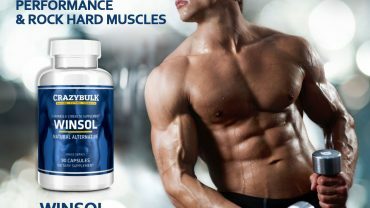 Its most notable alternative is Crazy Bulk Clenbutrol. This substitute is very well-known and widely used as a clen alternative. It is made from safe ingredients that are 100% FDA-approved. This means you can easily buy it over the counter without having to deal with any paperwork. It also boasts the same functionality as clen without all the nasty side effects that come with it, making it the perfect Clenbuterol alternative. Now that you’re well aware of everything you need to know about clenbuterol, it should be easier for you to make an informed buying decision. Make sure to weigh the benefits and side effects before you decide to jump for it. You should also consider the proper dosage and usage guidelines before attempting to take the drug. On the topic of clenbuterol itself, it is not a viable drug to take because its legality is questionable. The contents of the drug are simply unfit for human use, and it is unlikely that the FDA will change its stance any time soon. However, alternatives like Crazy Bulk Clenbutrol make them a feasible choice for anyone looking for the benefits of clen. On top of that, they are usually legal and do not have as many side effects as you might get from clenbuterol. Armed with this new knowledge, you can now go out and achieve the body that you have always dreamt of.